“ I am sorry, but that’s a joke,” said Nadal, who was upset by Rosol in the Wimbledon second round last year. “You have one more week to play doubles if you want to play doubles. Why do you want to protect the player who has to play doubles? So I’m going to write myself on the doubles draw then and I have the priority to play? That’s not the right excuse to make a schedule like this. 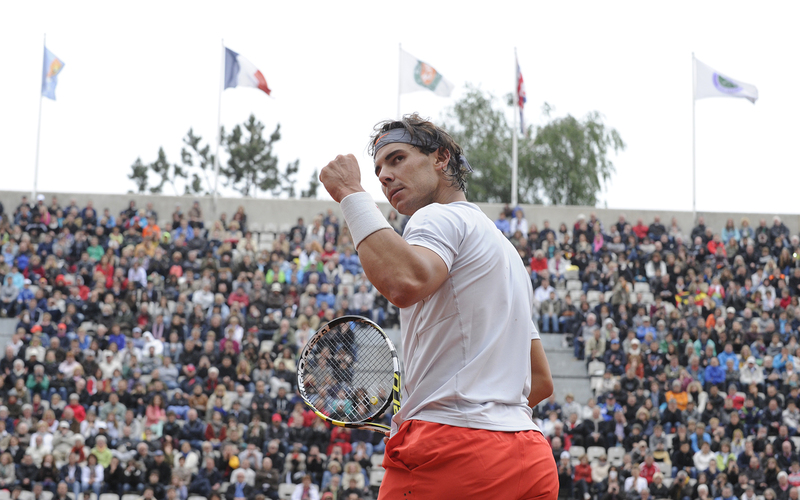 "Nadal is the most incredible clay court player of modern times. I think the only question is how fit he is. He certainly looks fit and he"s hitting the ball unbelievably well. Whether his knees will hold up if he gets stuck in a couple of five-set matches, he"s going to have tough matches at the French Open there"s no doubt about that.” He"s proven over his career that he can do it. He"s having such a long clay-court season that his fitness shouldn"t be a problem. It"s hard not to put him favorite." Top 10 hardest feats in tennis - ESPN Rafa grabs the #1 spot! The facts: Try these numbers on for size (and we warn you, there isn't enough room, even in the boundless black hole of the Internet, to unleash all his triumphs): Nadal is 54-1 at the French Open (in other words, he wins 98 percent of his matches) and has a record seven titles. But how about these nuggets? In 55 matches at Roland Garros, Nadal has dropped only 16 sets. Hello! No one, man or women, has a better winning percentage at any Grand Slam than this beast. And then there are his eight Barcelona, eight Monte Carlo and seven Rome championships. All records. What do all these numbers really mean? Not much except it's proof positive that beating Nadal on clay, especially for three out of five sets, is the most taxing ask in tennis. Evert analysis: He hits the ball with such topspin and acceleration. Most players' strike zone is at their waist, but Nadal hits the ball so high that opponents are hitting it from their shoulders. It's almost impossible to attack a player like that.